Recipes are invaluable to cooks who are just starting out, but what if you want to get to the next level? Then it's time you learn how to apply simple math to food. In other words, learn how to cook using ratios, not recipes. 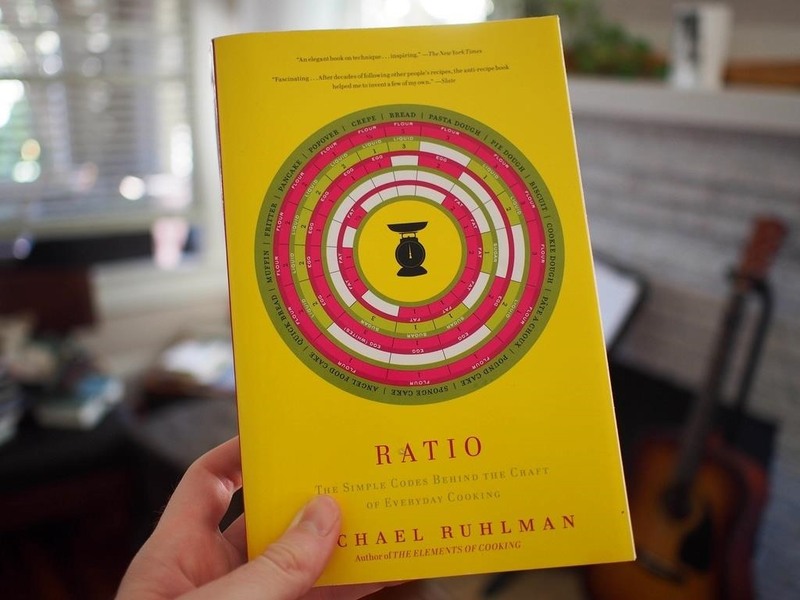 Fortunately, there's a great book by cookbook author and blogger Michael Ruhlman on just that topic, aptly called Ratio: The Simple Codes Behind the Craft of Everyday Cooking. His goal? To give the home cook the knowledge to cook like the greats. Ruhlman was inspired by Uwe Hestnar, a celebrated chef and teacher at the Culinary Institute of America, who distilled the fundamentals of most Western dishes to a two-page cheat sheet of ratios. 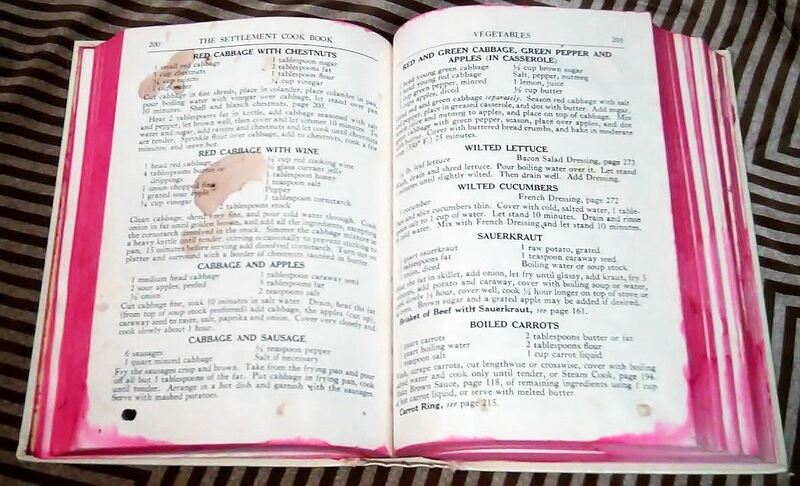 According to Ruhlman, it drove Hestnar crazy to see students stuck on cooking only from books, which he thought limited their ability to learn and create. The beauty of the ratio system is that once you learn it, you can cook freestyle (i.e. without an exact recipe), add endless variations, and learn to scale recipes automatically when you only have a certain amount of one ingredient on hand. 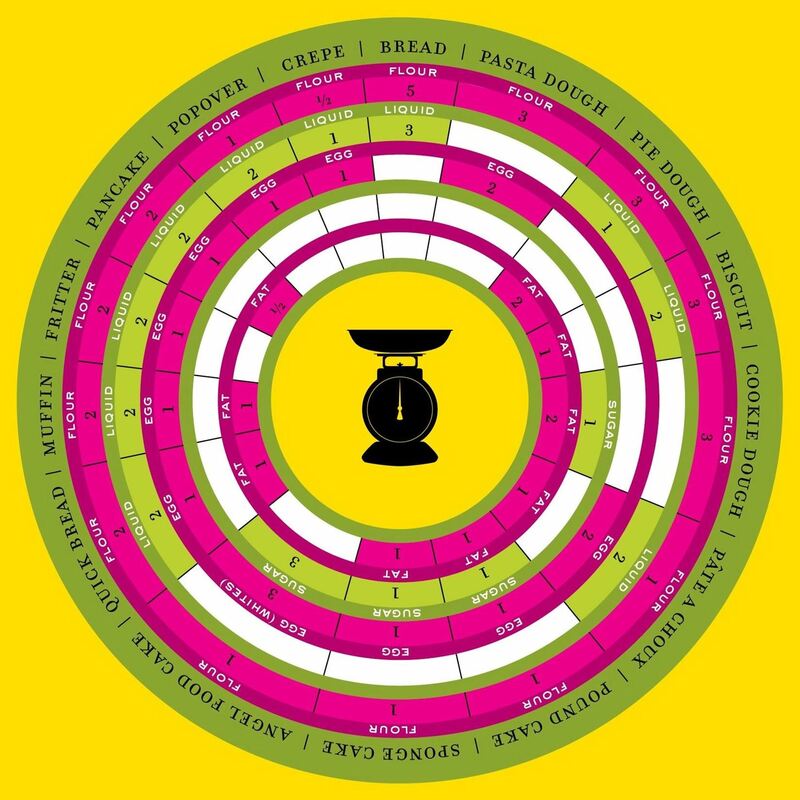 More fun charts and illustrations of Ruhlman-inspired cooking ratios can be found on Don't Fear the Kitchen, Chow, and Tuscan Foodie. 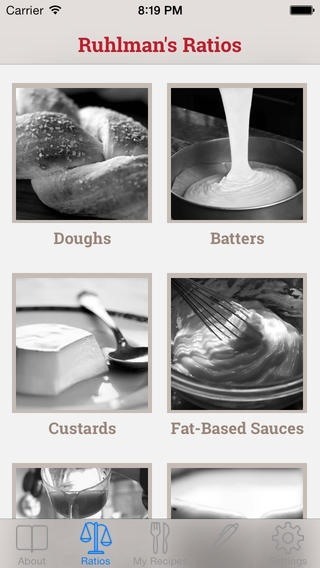 You can also purchase a chart for doughs and batters directly from Ruhlman, or save the image of Ruhlman's book cover below on your computer. 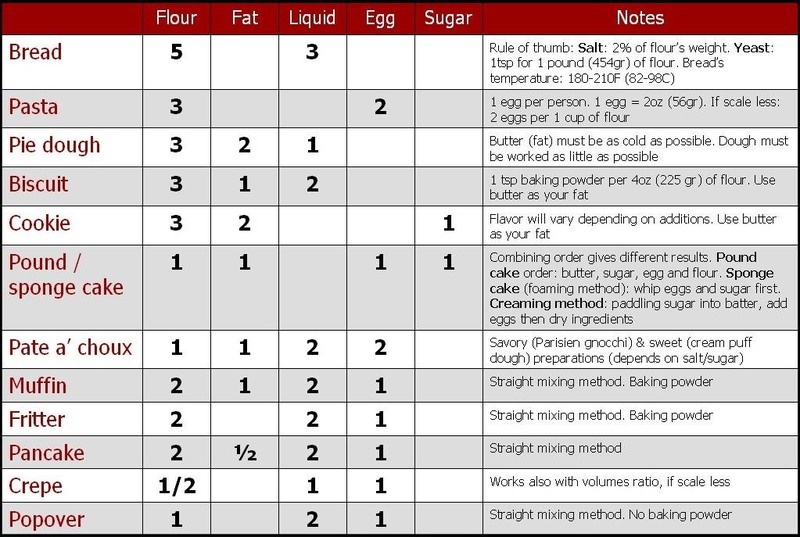 According to Ruhlman, bread dough's ratio is 5-3 (5 parts flour, 3 parts water, plus a little yeast for leavening and salt for flavor). 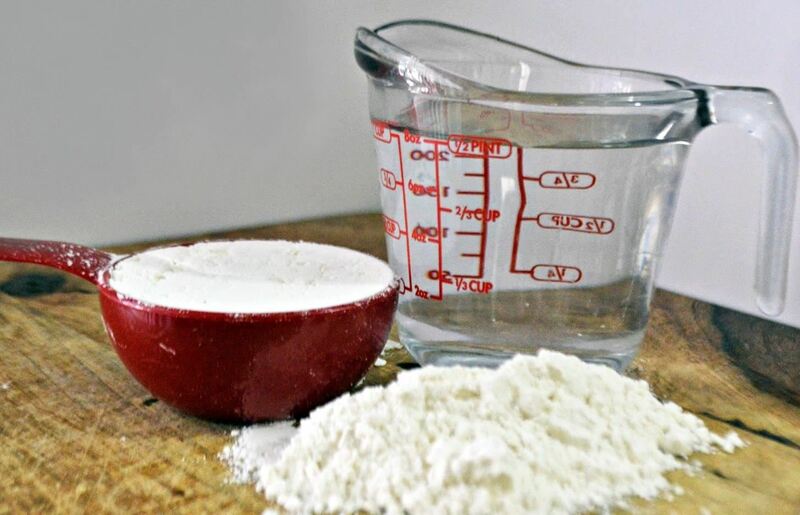 Meanwhile, the ratio for pie crust is 3-2-1: three parts flour, two parts fat (butter or shortening), and one part water (or ice-cold vodka, which I think produces a flakier crust). 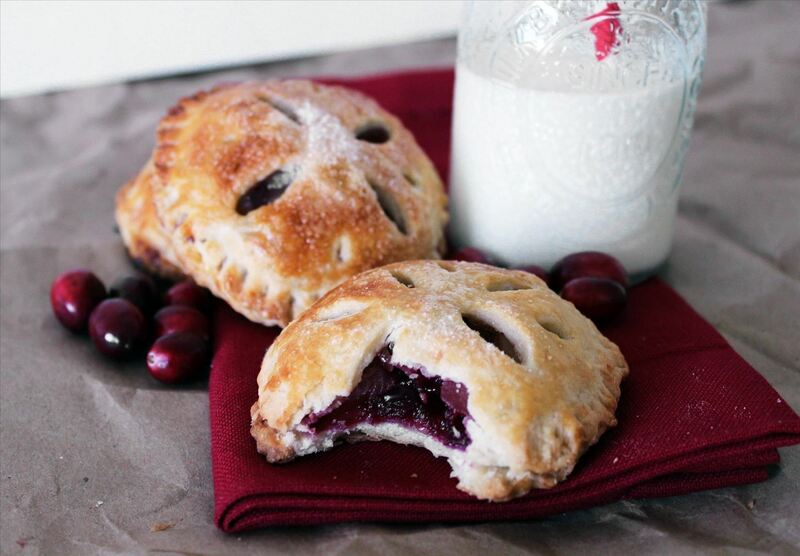 You can listen to Ruhlman talk about cooking with ratios on NPR's All Things Considered. And while Ruhlman strongly advocates that all cooks worth their salt start using a scale (and get really sharp knives, which I wholly advocate), I have to say that one thing I love about cooking with ratios is that it frees you from measuring cups and spoons. For example, when I was in the process of moving, I wanted to make a loaf of bread, but I'd already packed up all my measuring implements. I still had an empty yogurt container, though, and using that plus the ratios from Ruhlman's book as my guide, I was able to whip up a 5:3 bread dough in no time flat. I had to bake it in an old metal bucket lined with tinfoil, but that's a story for another time. 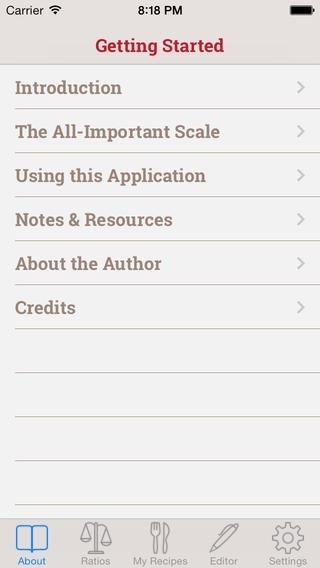 If you've got an Android or iOS device, Ruhlman even has a few mobile apps for you where you can create your own custom ratios, here and here, respectively. The Android app is a little outdate, but still very helpful. So what's stopping you? Get cooking! 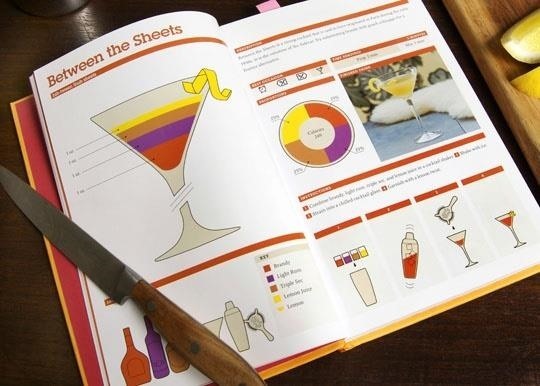 And if you're interesting in cocktail ratios, there's a great book by Brian Murphy called See Mix Drink: A Refreshingly Simple Guide to Crafting the World's Most Popular Cocktails, which is Ruhlman-approved. To be honest, I'm perfectly fine with better-than-average champagne, vodka, and wine by themselves.